HomeConditions & Symptoms FAQWhat is H. Pylori? 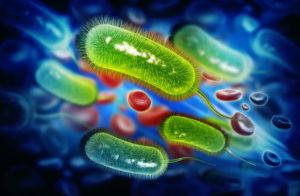 Helicobacter pylori (H. pylori) is a that exists in the digestive tract of around two-thirds of the world’s population, usually without causing them a problem. However, if H. pylori overgrow, they can spread up the digestive tract and cause ulcers in the lining of your stomach or the upper small intestine. Long-term, this can lead to stomach cancer for some people. If your gastroenterologist diagnoses you with an H. pylori infection, they will recommend medications to eliminate the H. pylori bacteria and help any ulcers heal.